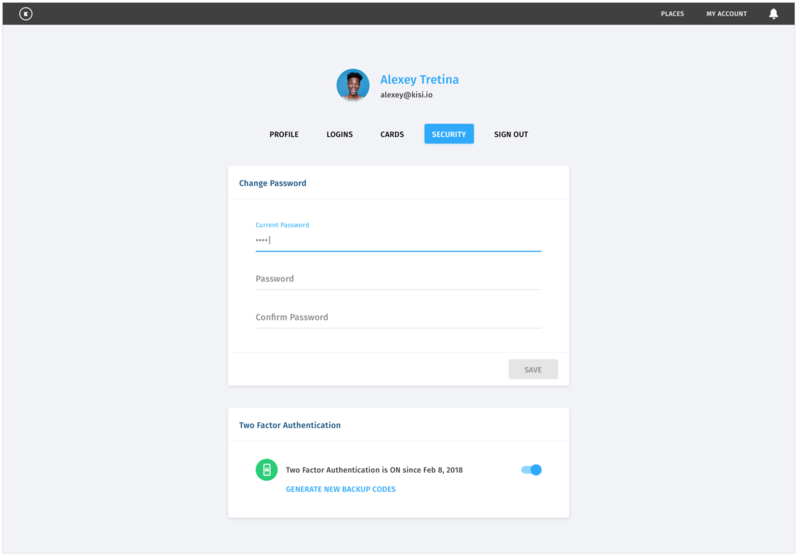 Login to the Kisi Dashboard, then go to My Account and on the tab Security, find and enable Two-Factor Authentication (2FA). After you've enabled 2FA for your account, you will need to verify your password again. 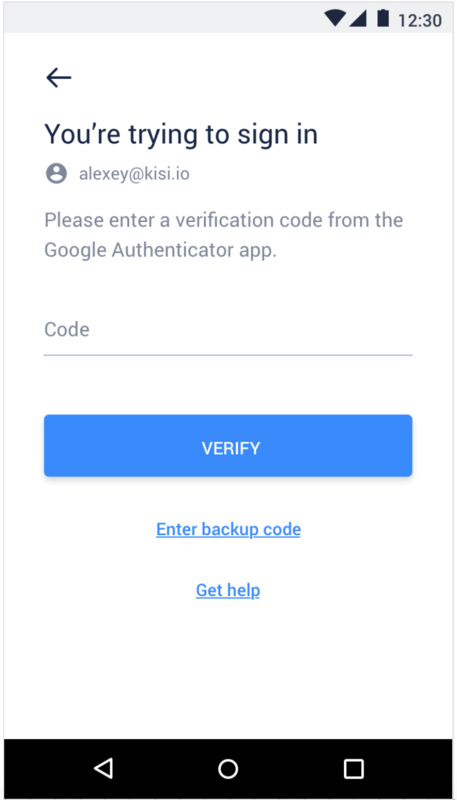 Once you've verified your password, the Set Up Authenticator will ask you to download the Google Authenticator App (iPhone & Android) and scan the QR code. Once you've scanned the QR code with the Authenticator App you will enter the 6-digit code that appears in the app, then click Verify. 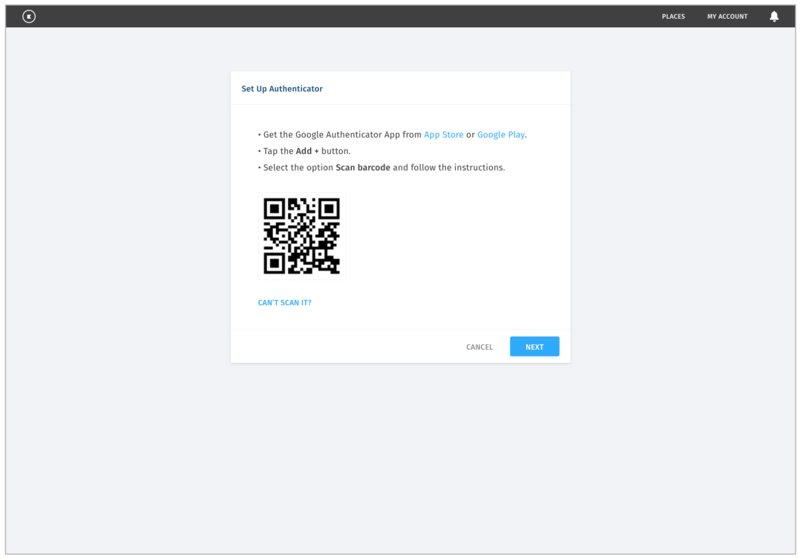 Once you've verified the Authenticator code, you will see a confirmation screen. If you cannot scan the barcode from the web client, you need to press the option Can't Scan It? Click Verify, and you will receive a confirmation message. 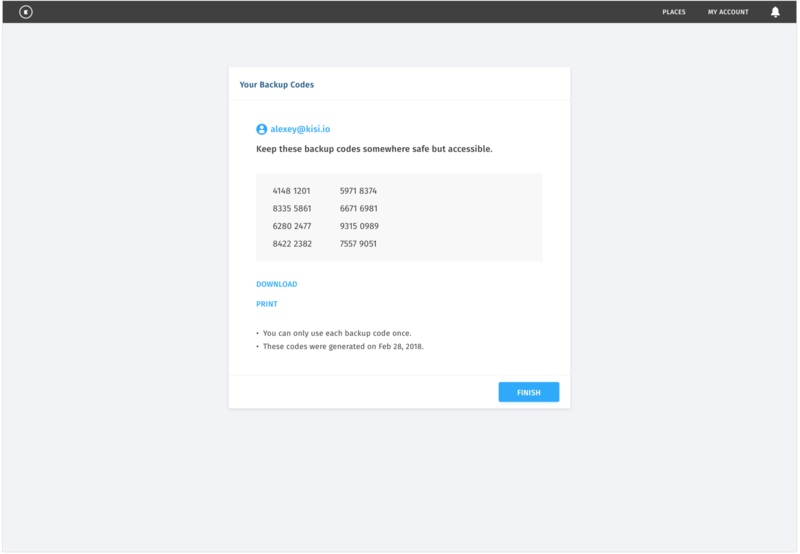 Once you've verified your Authenticator code and confirmed your account, you now have the option of saving your backup codes. Backup codes are used to access your account in the event you cannot receive 2FA codes. 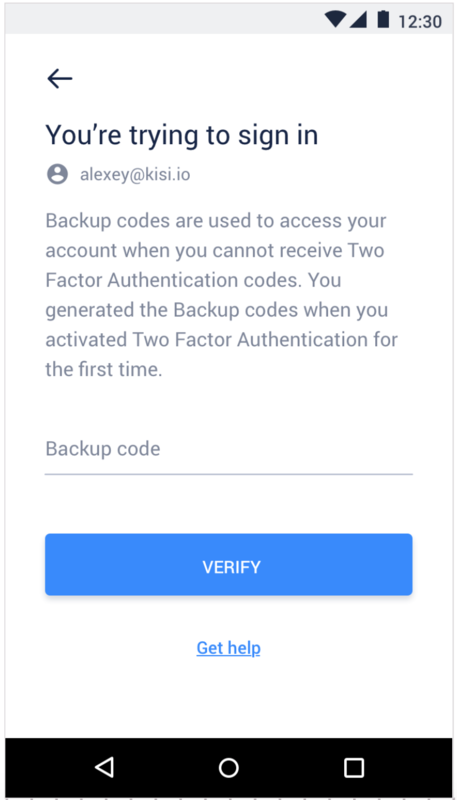 Login to the Kisi Dashboard, then go to My Account and on the tab Security, find and disable Two-Factor Authentication (2FA). 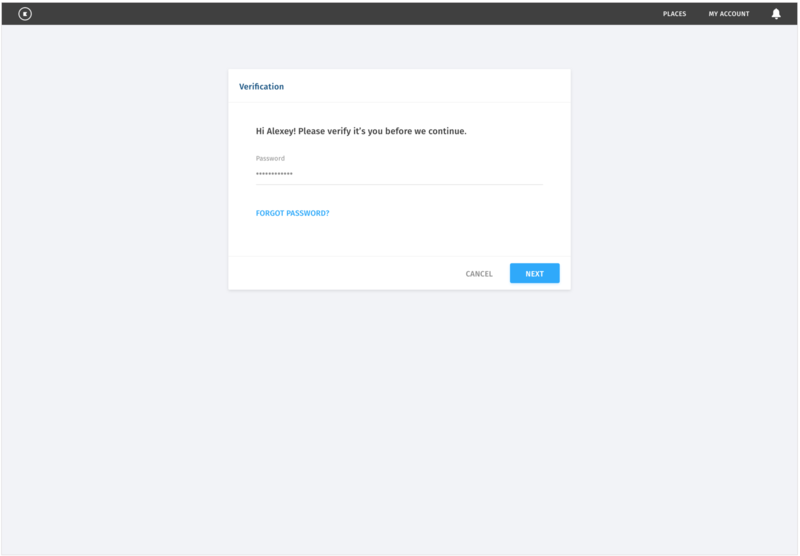 Once verified, you will receive a message that you've successfully disabled 2FA. Once you've logged in with your credentials on the web or with your mobile app, it will ask for a verification code. Type in the 6-digit verification code and click Verify and you will gain access to your account. Once you've logged in with your credentials on the web or with your mobile app, it will ask for a verification code. 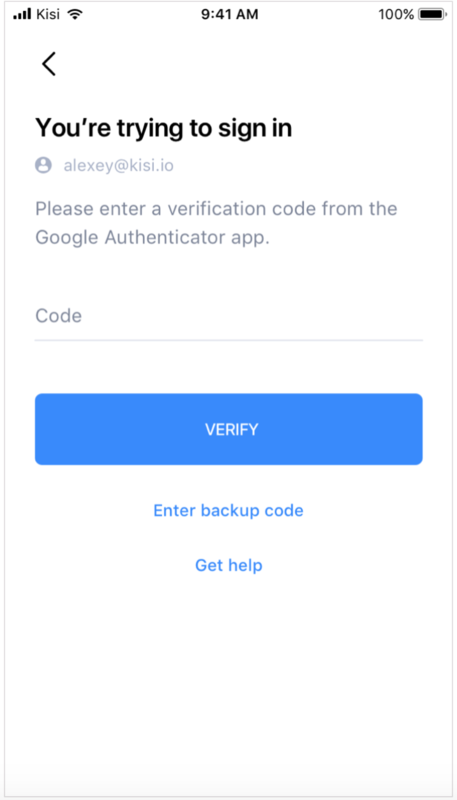 If you do not have the ability to get a code from the Authenticator App, click the Enter Backup Code option. When the user presses that option, the app will ask for the back up codes or help. **Important Note** - Backup codes can be used only once. You may want to mark the codes as "used" once you've entered them. 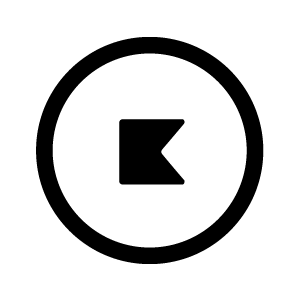 Login to the Kisi Dashboard, then go to My Account and on the tab Security, find Two-Factor Authentication (2FA). Inside that field there will be an option to Generate New Backup Codes. When the user clicks on that option his/her password will be requested. There the user regenerates the backup codes. 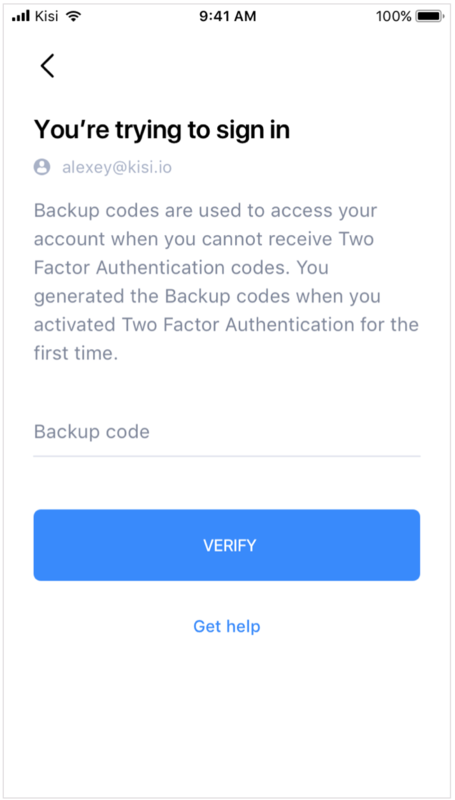 If you have lost access to both 2FA and backup codes, the account will be lost.